e-insurance is one of the most revolutionary step taken by IRDA (Insurance Regulator and Development Authority). In recent past, Insurance sector has undergone many changes. e-insurance is one such step for the benefit of customers. After Stocks, Mutual Funds, Bonds, NCD’s, ETF’s, Derivatives etc now you can store Physical Insurance Policy in paperless Electronic format also known as e-insurance or Electronic insurance. The customer can open e-insurance account (eIA) with any insurance repository for Free of Cost. One time KYC is mandatory to open eIA account. After KYC you can convert any no. of physical insurance policies or buy any no of e-insurance policies & store in eIA account. The physical insurance policy can be converted to e-insurance through both online & offline channel. A policy can be hold only in one format i.e. Physical or e-insurance. A customer can convert / buy & store all type of insurance policies like Life Insurance, Health Insurance, General Insurance or Pension Policy as an e-insurance policy in eIA account. Typically insurance repository take 7 business days to open eIA account. As i mentioned, eIA account is multipurpose and can be used when you buy new e-insurance policy. You just need to quote eIA number while buying new insurance policy. You need only one eIA account even if you have insurance policies from different insurance providers. Moreover as per IRDA guidelines, the customer cannot open multiple eIA accounts. eIA account is similar to demat account. eIA account can be opened even if you don’t have any insurance policy in your name. Now next biggest question coming to your mind will be that since Insurance Repository service is FREE for customers, there must be some catch. In short, how these authorized insurance repositories will earn. Are these companies doing any social service? Answer is NO, e-insurance is beneficial for all 3 stakeholders i.e. insurance provider, customer and the insurance repository. Insurance provider spend huge amount of money to manage physical insurance policies. After the physical insurance policy is converted to e-insurance, insurance provider will destroy the physical copies. It will result in huge cost saving for Insurance Provider. The insurance provider will pay fixed service fees to Insurance repository for maintaining e-insurance in digitise form. One more important point, don’t forget to appoint an Authorized Representative (AR). AR will be custodian of eIA account in case of unfortunate event of demise of an eIA account holder or eIA holder is unable to operate the account due to disability etc. AR will have all the legal powers to access and operate eIA account. AR should not be misunderstood as Nominee of Insurance policies. AR will be custodian of eIA account & will have only access rights whereas the insurance amount will be transferred directly to the Nominee of respective policy. In short, AR will not be beneficiary of insurance policies. A customer can appoint nominee of insurance policy as AR but reverse is not true. (a) One stop for all insurance policies: eIA account will be one stop for all the policies. On an average any individual holds 7-8 insurance policies both life and general insurance. With e-insurance, you can check complete details of all the policies at one place. It is convenient and hassle free. In short, it will be centralized repository for all policies. (b) Security & Safety: The fear of misplacing, theft or damage to policy is not there in e-insurance. The insurance policy is bought for financial security in case of any unfortunate event. In case policy is lost, misplaced or damaged than it is next to impossible for the nominee to claim the insurance cover. All such apprehensions are not there in e-insurance. (c) Ease of managing multiple policies: In case of multiple policies we tend to forget to pay premium on time thus policy gets lapsed. In case of change in any personal detail like address or phone no, it is difficult to get it changed for all the policies. In e-insurance, you will receive payment reminders & alerts. Besides payment alerts, by placing single request with insurance repository the personal/KYC details will be updated automatically for all the policies similar to KYC of mutual funds. (d) Online Payment and Payout: For all e-insurance policies, the customer can pay premium online and at the same time can receive maturity amount, money-back, pension etc electronically by simply registering his/her bank account no with the insurance repository. (e) Onetime KYC: As i mentioned KYC is one time activity and in future, if you buy an e-insurance policy than fresh KYC is not required by insurance provider. (f) Single Claim Request: In case of unfortunate event like death of an insured person, No need for nominee to run around with different insurance provider for claims. Nominee can view all the policies at one place. With single claim request, the claim request will be processed for all e-insurance policies (Provided there is 1 nominee for all the policies). 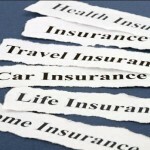 Normally its a big hassle for nominees to claim insured amount particularly if the insured person has multiple policies. Claim settlement is hassle free in e-insurance. (g) Wide Network: Currently insurance providers either don’t have wide network or only few branches are authorized to accept specific service request. Most of the insurance repository have wide network therefore customer will be benefited with wide service network. Many of my readers wrote to me & referred online insurance as an e-insurance. Let me clarify e-insurance should not be confused with online insurance. In layman terms, online insurance means policy bought online but stored either as physical insurance policy or e-insurance. Whereas e-insurance is a policy stored only in digitise form may be or may not be bought online. Online policy bought in Physical form can be converted to e-insurance policy. Hope i addressed all the important points related to e-insurance. Do share your feedback, input and views through following comments section.